A felling axe is crafted to sever wood fibers, and consequently has a thin but broad profile. The cutting edge is usually very sharp to facilitate the felling process. Of course, if you need to chop wood limbs to length or fell a tree, this type of axe can do the job wonderfully. However, for furniture making, a felling axe is particularly useful for splitting large billets to rough size, such as splits for chair legs. However, the choice of the best felling axe is huge on today’s market, and not everyone can make the best buying decision. 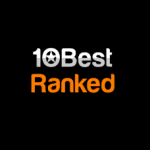 Fear not, this article will help you reach the most profound buying decision. Do you want a heavy-duty felling axe that would do most of your cutting project at ease? 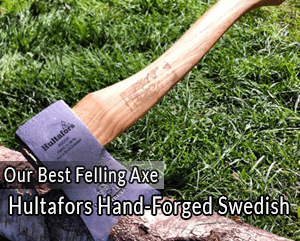 Look no further than the Hultafors Hand-Forged felling axe. This amazing tool features a large, hand-forged 3.3-pound head made of durable carbon steel. It comes with a solid and strong hickory handle. It has very nice wood grain on the handle. The hickory material offers a strong grip that will not slip off easily. The handle is also fitted with a hole for your loop. The head is secured into the handle by a wooden wedge with a solid metal circular pin. The pin holds the head firmly to prevent it from coming off during heavy use. The cutting edge is also remarkably sharp and would retain sharpness after use. This is the main felling axe in any resourceful woodsman’s lineup of tools. It is sure to gain the admiration and respect it deserves. The combination of a strong handle made of American hickory and a heavy-duty Swedish steel head gets the job done. With a 28-inch handle and a 2.25-pound head, the Hults Bruk Kalik is slightly shorter and lightweight, but it produces a remarkable force with each swing. It can be used in remarkably large project of felling trees. What you would like most about the Hults Bruk Kalik is its ability to retain sharpness, even after a heavy cutting project. Not to mention that the Swedish steel head is built to last years of usage. The 1844 Helko Werk Felling Axe is a full size, highly capable, general purpose axe. It is equipped with a 3.5 pound, high grade carbon steel head that delivers adequate heft for a variety of splitting and cutting work. It is definitely big enough to fell large trees. The handle is designed from high quality American hickory material, which is chosen for density, grain orientation, and strength. The handle has boiled linseed oil finish and it is one hundred and fifty grit smooth sanded. The 31 inch handle is fairly straight with a small curve towards the top. This shape makes it easy for you to hold the handle. Not to mention that it provides a strong grip that allows for powerful swings. The Hults Bruk Kisa is a medium sized axe that is suitable for medium to heavy work. The axe is compact enough to be easily carried, yet efficient at chopping, felling, and any other related cutting work. The axe has a head weight of 2 pounds. The head is engineered from solid Swedish steel that is durable and sharp. The steel used is struck several times, thus increasing the density of the head, making the axe more durable. It is fitted with a 26 inch long handle that is designed from high quality hickory. The handle features linseed oil finish. It is strong and very capable of producing enough swing force for felling, chopping among other cutting chores. 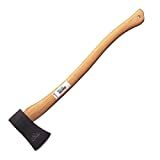 If you are looking for a four-pound full size felling axe that is capable of handle almost anything, then you should look no further than the Council Tool Velvicut. The four-pound head is hand forged in a robotic work cell. Then again, it is expertly sharpened by a professional craftsman by using fine abrasives. The sharpening process is completed with leather stropping. This is the longest felling axe in this listing with a 36 inch handle. This remarkably long handle is designed from top quality hickory, which has superior density and greater orientation. There are a variety of felling axes out there. 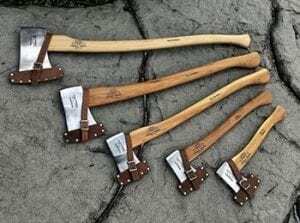 What you need to consider as a woodsman is what needs your axe must fulfil, what types of woods are most commonly found in your area, and how much weight you are willing to carry. The larger the felling axe, the safer it will be to handle; it will take less inertia to remove material and will require a lighter, more controlled swing. With that said, you have to choose the appropriate head size and handle length among other features. The most important section of a felling axe is the head. For the ax to function competently, the cutting edge must have a bit that is properly sharpened. It should be able to bite into the wood and at the same time resist breaking and chipping. You should know that the finest cutting edge requires an axe head made of high quality steel. There is no doubt that you can easily replace an axe’s handle if it is of cheap quality and breaks. However, you can do nothing concerning a head made of cheap or poor steel. When buying a new felling axe, we recommend you to avoid the ones found in hardware store. As an alternative, you should consider buying from the most reputable brands that are well-known for manufacturing high quality tools. You would probably pay more for quality, but it is best for you to incur a significant cost once than dealing with the flaws of a cheap felling axe. Single bit axes are the mainstay of many users, in part because an axe with one bit somehow seems twice as safe as an ax with two edges. You only have to worry about the one cutting edge. Most felling axes are single bit. They are effective at cutting down or pruning trees. They can also be used to cut or trim logs and heavy brush, or split and cut wood. 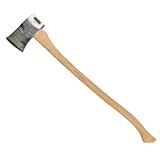 This type of axe has a steel head attached by wedges to a long, slightly curved handle. The head has a flat face at one end. At the other end is the cutting edge or single bit. A double bit axe has two symmetrically opposed cutting edges. Traditionally, one bit is sharp ended to a fine taper to make deep cuts for felling trees and chopping through logs. The other bit is honed with a stouter edge for working on branches from downed trees. The single bit ax differs from the double bit not only in shape of its head, but also by the fact that its handle is usually curved. While the single bit axe handle gives the appearance of greater comfort and ease of use, a curved handle requires more wood than does a straight handle. 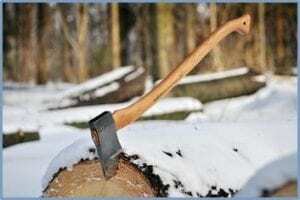 This is a very important consideration when buying the best felling axe. Normally, most people would settle for the heaviest head for its superior force. This is why, in most cutting competitions, 3 to 4 pound heads are used. However, if you are new to felling axes, you should consider settle for an ax head that does not weigh more than 3 pounds. You should know that heavier axes deliver more force, but would probably result into poor accuracy if you are not strong enough. According to research, you are advised to start off with a three-pound ax head when handling a full size felling axe for the first time. You can always adjust the weight as you get stronger as well as more experienced with felling tools. Felling axes come in a variety of handle lengths. Most people would settle for a felling axe with a longer handle, since it is capable of producing more force. However, it is usually better to also consider a slightly shorter handle. Theoretically, the longer the handle of the axe, the more force you would be able to deliver. However, there would come a time when you would not be able to control the long handle as you would want to. When choosing the ideal length, you should look for a good spot between accuracy and force. If you are new to felling axes, you should consider a shorter handle. This will allow you the control you need for effecting cutting. For those who do not know, the length of an axe handle is mostly measured from the knob at the axe’s bottom to the top of the edge. Normally, axe handles are available in two standard lengths: boy’s ax and full-size. The standard length of a felling axe handle is usually 36 inches, which may still be too long for some individuals. Instead, you should consider a handle length of 31 inches, which will provide you with adequate force as well as control. If you are not planning of using your felling axe on larger trees, then you should consider a boy’s axe, which is typically 28 inches long. This option may be shorter, but it is the perfect choice of an average grown man. There is always a discussion as to whether curved handles are better than straight handles. Traditionally, most people would prefer straight handles. However, with time, curved handles have become more fashionable. A great number of single bit felling axes are equipped with curved handle because it produces a more natural swing, which delivers more impact with each swing. On the other hand, most double bit axes are equipped with straight handles. There is a lot to take into consideration when buying a felling axe. Therefore, you should not be too fast to settle for a model which may turn out to be a big disappointment. So, take your time and factor in all the aforementioned buying tips. According to our findings, the best felling axe is one that comes with the appropriate head weight and handle length. As for the single bit or double bit, you are the one to decide which one is more convenient and versatile.